These beach huts offer fantastic views and more privacy than The Shore beach huts. If you are after tranquility and relaxation, these are the beach huts for you. The huts are extremely popular in the summer months, so act fast if you see that the one you want is available in the online availability calendar! We also offer our high specification Spa Retreats. 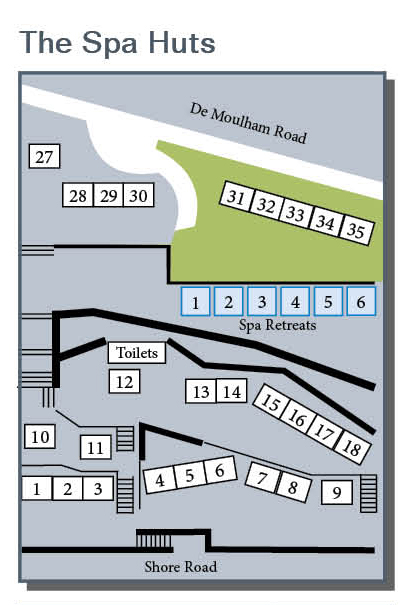 Please note that hut numbers 1 to 18 are only accessible by steps.